BATMAN V. SUPERMAN: WHO WILL WIN? Later this month sees the arrival of director Zack Snyder’s “Batman v Superman: Dawn of Justice” which hits theaters on March 25th. As we approach this landmark unveiling which will pit two of DC Comics’ most iconic figures we are gearing up for being hit with a barrage of promotional material and accompanying movie tie-ins. This includes the very recent release of the new Batman v Superman mobile game now available on both iOS and Android. Those waiting to see the return of the Man of Steel as well as just how award-winning actor/director Ben Affleck will fare as he takes on the role of the caped crusader will be pleased to get in on the action for this upcoming on-screen bout. 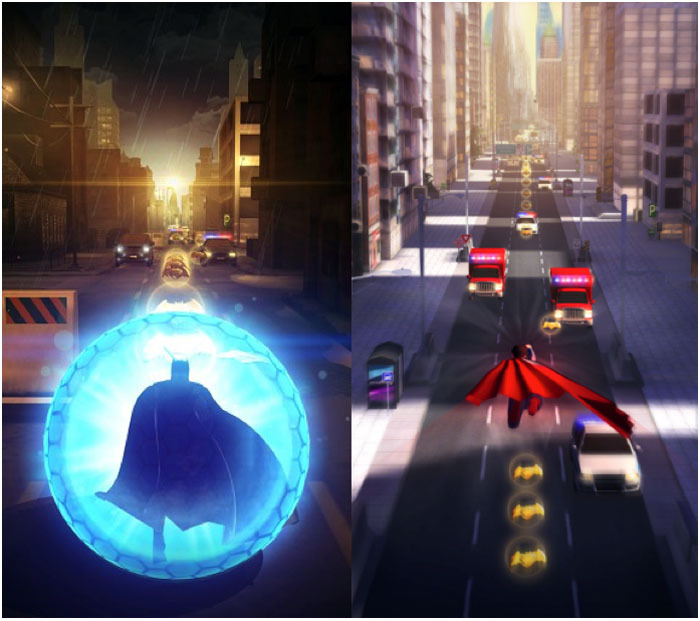 The game “Batman v. Superman: Who Will Win?” takes place in both Gotham and Metropolis and offers players the opportunity to play as either Superman or Batman. Any battling game that includes “versus” in its title is going to focus a lot on “Who Will Win?” and, quite frankly, that’s exactly what’s happening here. But that will come as no surprise and won’t disappoint any fan. Those movie fans who may be considering avoiding this one due to potential spoilers that may be included in the game or storyline will not have to worry as there’s nothing here that directly relates to the plot of the upcoming movie. What’s more this is a great little game to play especially for Superman fans who, let’s face it, have not exactly had a decent offering of video games up to this point that feature the last son of Krypton. While his new opponent already has plenty of well-conceived gaming efforts out there including a cool Dark Knight Rises slot game that you can play at allslotscasino.com and, of course, Batman: Arkham City. Batman has fared much better in terms of video game adaptations mostly thanks to the series of Arkham-based games featuring a whole host of familiar Gotham faces battling it out against the man beneath the black cowl. With Warner Bros and DC Comics keen to take a bigger slice of the feature-based superhero box office which has been mostly dominated by Marvel for the past few years we’ll no doubt be seeing plenty more gaming spin-offs from their new Justice League venture. The new mobile-based game from Warner Bros can be played on a web browser also and it’s an endless runner that requires players to chase through the streets collecting power-ups as they go along while dodging obstacles that happen to be in the way. And there is the inevitable face-off battle between the two superhero giants to see just who comes out on top. If this is an endless runner I predict that Flash will beat them both. Ha, ha, you would be right, sir! I give my vote to Batman, kind sir! Batman is an excellent choice! Well, Superman is at a disadvantage in those respects. I saw the movie length film from one of the game adaptations and it was very cool. Usually I wouldn’t bother but the plot was very well crafted and the visuals were superb it had me hooked. Hope life’s treating you well. I have’t forgotten you. I just haven’t been keeping up with the blog roll. So I’ve decided to just work my way through my community members individually one by one. I think it’s better that way. More meaningful too. You can still pick off some gems from people that get swallowed up in the roll. I know what you mean. Well, it’s always good to hear from you, Lee. You always bring insight and good cheer with you. Cheers brother. Yes, us Saggitarians are famous for our optimism. Always great to hear from you. Warmest regards!